1. In a small bowl, dissolve yeast in water. Let stand 10 minutes. 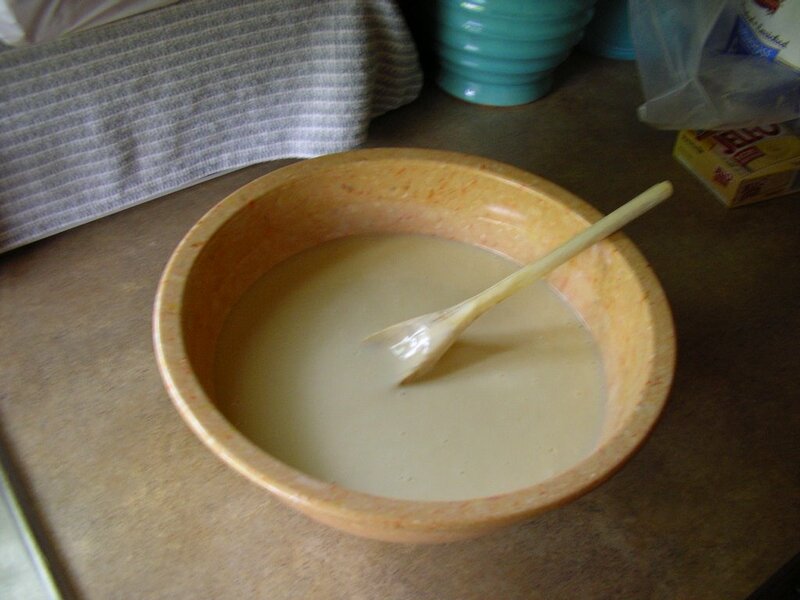 In a 2 quart NON-METAL bowl, combine 1 cup flour and 1 cup sugar. Mix thoroughly or flour will lump when milk is added. Slowly stir in 1 cup milk and dissolved yeast mixter. Cover loosely and let stand until bubbly (or pour it into a gallon freezer bag). Consider this Day 1 of the 10 day cycle. Leave at room temperature. 2. On Days 2 through 5 mush the bag (or stir the starter). Day 5, stir in 1 cup flour, 1 cup sugar and 1 cup milk. Days 6 through 9 mush the bag (or stir) only. 3. On Day 10, stir in 1 cup flour, 1 cup sugar and 1 cup milk. Remove 1 cup to make your first bread and give your friends 1 cup of starter in one gallon freezer bags along with this recipe and your favorite Amish Bread recipe. Store the remaining 1 cup (divided) starter in a container in the refrigerator (or freezer) or begin the 10 day process over again (beginning with step 2). "On Day 10, pour the entire contents of the bag into a non-metal bowl. Add 1 1/2 cups flour, 1 1/2 cups sugar and 1 1/2 cups milk. 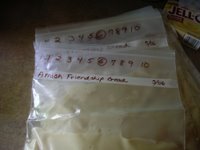 Then measure out 4 separate batters of 1 cup each into 4 separate 1 gallon zip lock bags. Give them to 4 friends with a copy of this recipe." Which is what I did. 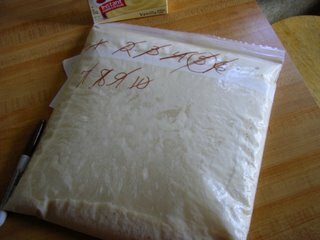 I ended up with 6 freezer bags and about 2 cups of the batter to make my breads with. I'm so confused!